The Nexus 5 was arguably one of the best flagships the Android world has ever seen. It had a significant impact on the mobile industry, delivering almost unprecedented value for money when $600 and $700 flagships were the norm. Many great phones have been released since it landed in 2013, but few (if any) have been as influential. To celebrate the phone’s five-year anniversary, we’ve picked out five Android handsets from the intervening years we consider among the most important. Whether they picked up the Nexus 5’s value-for-money baton, introduced a feature later aped by others, or raised the bar for the Android experience at large, here are our picks. The Nexus 5 delivered high-end specs in a cost-effective package, much like OnePlus when it launched its $299 OnePlus One flagship back in 2014. That same year saw Google — no longer content to sell affordable flagships — release the Nexus 6 for $650. Google wasn’t the only player selling expensive high-end phones at the time. Samsung’s Galaxy S5 and the HTC One M8 both had a $650 asking price, so people took OnePlus’ “flagship killer” marketing seriously at the time. 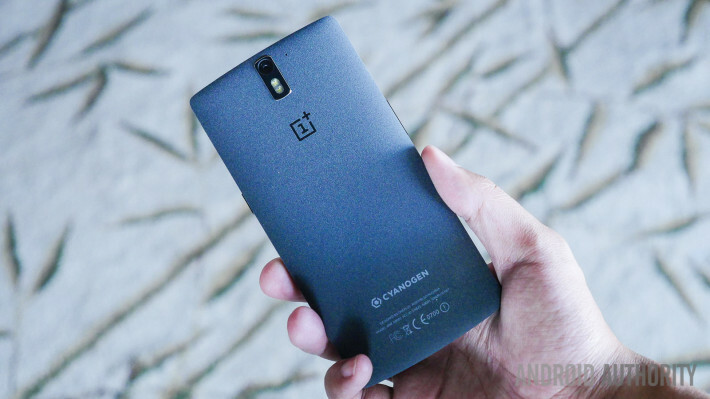 The OnePlus series has seen a steady price increase over the years, as the company adds more features and ostensibly tries to beef up its profit margins. However, much like the Nexus 5 all those years ago, the OnePlus 6 and OnePlus 6T still deliver a ton of value for money compared to Samsung, Apple, HTC and LG. The HTC One M8 wasn’t perfect, even back in 2014. The 4MP main camera was long in the tooth and 2GB of RAM was a little on the low side. However, it’s hard to argue the phone didn’t represent the Taiwanese company at the apex of its design prowess. The 2014 release followed the well-received One M7, retaining the previous phone’s premium metal design. Before the M7 and M8’s release, few Android brands had similarly slick designs — popular flagships like Samsung’s Galaxy S5 and the LG G3 both opted for plastic instead. We definitely saw a shift towards premium designs following the One M7 and M8. Samsung ditched the Galaxy S5’s dimpled back cover in favor of a glass design for the S6, while LG delivered a fancy leather back for its G4. The HTC phone also earns its place on the list with its camera setup. It wasn’t the first phone to sport a dual-lens pairing, but it helped lay an early blueprint for today’s dual-camera devices. Whether you wanted to shoot now and refocus later, or adjust the level of blur (thanks to a system update a few months after launch), the M8’s camera experience was a sign of things to come. Chances are good if you buy a dual-camera smartphone in 2018, it’ll have these features. It didn’t necessarily offer the best value for money compared to the Nexus 5, but the Galaxy S7 Edge was arguably the best mainstream representation of Android at the time. It wasn’t pure Android, but Samsung had trimmed down the TouchWiz UI since the Galaxy S6, after years of garish design and pointless features. Samsung’s tweaks to TouchWiz for the Galaxy S7 Edge didn’t come at the expense of functionality though, bringing loads of innovative and genuinely useful software features. Between biometric authentication for websites, scrolling screenshots, and DeX mode, the Korean company showed other OEMs and Google consumers didn’t have to choose between aesthetics and functionality. Samsung has shifted the conversation from Apple versus Android to Apple versus Samsung. The Galaxy S6 lacked a few hardware features available on the Galaxy S5, but Samsung brought them features back for the S7 series. The S7 Edge’s fundamental design and hardware features (wireless charging, water resistance, storage expansion, curved screen, headphone jack) still form the basis for Samsung’s flagships today. In an era where Android OEMs shamelessly copy Apple’s design (be it the notch or the UI seen on various Chinese devices), Samsung hasn’t forgotten Android’s original vision of being a flexible platform. The company has also managed to almost become bigger than the platform in a sense, as the conversation shifted from Apple versus Android to Apple versus Samsung. The Galaxy S7 Edge was perhaps the turning point for the South Korean manufacturer. Huawei had already made a name for itself in several markets before the P9‘s release, owing to the Ascend P8 and Nexus 6P, but many people still associated the Chinese brand with white labeled devices and budget phones. Fortunately, 2016’s P9 changed perceptions in the West. The P9’s claim to fame was the 12MP and 12MP monochrome camera setup, complete with Leica-certified lenses. It wasn’t the first mobile camera capable of depth effects after taking a snap (2014’s HTC One M8 and Honor 6 Plus were among the first), but it helped establish the trend. Huawei’s phone received praise for its slick design too, at a time when Chinese manufacturers were all too quick to copy Apple or Samsung. The company is now a force to be reckoned with and its designs continue to stand out (twilight P20 Pro, anyone?). The phone’s release also signaled the start of Huawei’s ascension to the number two spot for global smartphone vendors. Chinese brands likes Xiaomi, Oppo, and Vivo have made names for themselves outside of their home market too, but the Huawei P9 put the Shenzhen firm on a path to the stratosphere and went a long way towards making Chinese phones an acceptable or even cool purchase for consumers around the world. Was 2016 the year when smartphone photography took its biggest leap yet? Between the Huawei P9’s dual camera trickery, the Galaxy S7’s low-light quality, and the LG G5’s wide-angle secondary camera, it’s hard to argue otherwise. Google also hit the ball out of the park with 2016’s Google Pixel and Pixel XL. The company’s improved HDR+ algorithms (smartly combining multiple exposures) resulted in a smartphone camera that delivered in a big way. It was called the best smartphone camera by DxOMark, back when the analysis website’s word was held as gospel. Not bad for a single-lens camera in a year when almost everyone else adopted dual-camera setups. It was certainly a surprise at the time, because Google’s phones (barring the Nexus 6P) all had disappointing camera experiences compared to the competition. Very few smartphone manufacturers could deliver a reliable point-and-click camera experience, but Google achieved it in 2016. 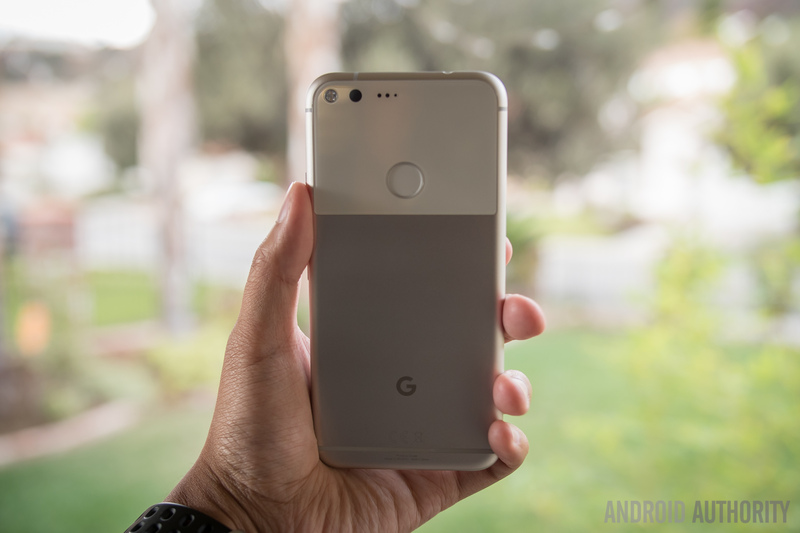 The Pixel also represented a clean break from the Nexus phones, which were designed by other companies with input from Google. The Pixels were designed by Google only, giving the company control over both software and hardware. However, price was a key difference between the Nexus and Pixel lines. This was no affordable flagship — the Pixels were premium, through and through (at least so far). Samsung’s flagship isn’t here merely because it’s fresh in our minds. It makes the list because it marks the start of what could be the ultra-premium era of smartphones. Retailing for $999.99, the Galaxy Note 9 is clearly more expensive than most of its rivals out there. Unlike Huawei’s Porsche phones or Oppo’s Lamborghini-backed Find X, this is the entry-level mainstream price, with its 512GB model hitting the $1,250 mark. Samsung’s new phone justifies its price by essentially becoming a Swiss Army Knife for enthusiasts, delivering IP68 water/dust resistance, a gorgeous screen, wireless charging, a headphone jack, a heart-rate monitor, and more. The phone also has an S Pen stylus powered by Bluetooth, allowing you to use it as a presentation tool, shutter key, and media remote. Say what you will about the price, but it’s tough to argue you aren’t getting a stacked spec sheet. Samsung may be one of the first major players to deliver a $1000 smartphone as its mainstream model, but it won’t be the last. The Huawei Mate 20 Pro has since breached the $1000 barrier, offering a similarly long list of features to appease the power user. It’s a far cry from the Nexus 5’s $349 price tag, or the Galaxy S5’s $650 asking price. The rise of the ultra-premium smartphone also seems to coincide with the continued rise of the affordable flagship, spearheaded by devices like the $300 Pocophone F1 and the ~$300 Honor Play. It certainly seems like 2019 will play host to new highs and lows. What’s been the most significant Android phone since the Nexus 5 to you? Let us know in the comments!